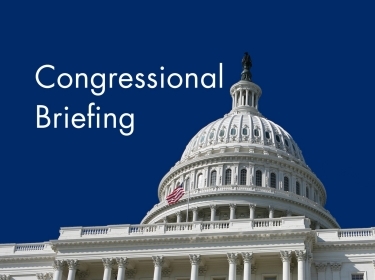 PRGS professor and alum Cheryl Damberg (cohort '89) testified before Congress. Among her conclusions: "Revising physician payment is a daunting challenge, but one that is absolutely necessary. 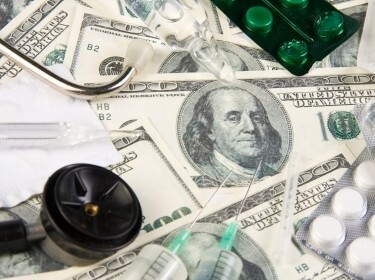 Performance-based payment reform is vital to driving improvements in health care delivery." 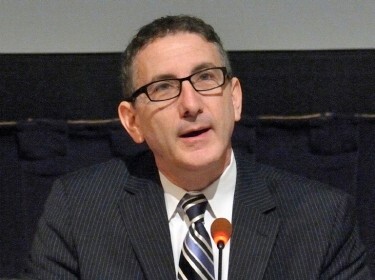 Given the size of the U.S. annual “health care spend”—$2.7 trillion—summing up the savings associated with very minor cost-saving policy changes is likely to achieve significant aggregate savings, writes PRGS alum Jeffrey Wasserman (cohort '85), acting director of RAND Health and assistant dean for academic affairs at PRGS. 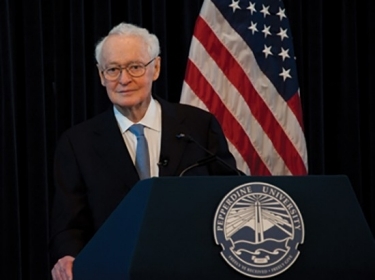 James Q. Wilson, a longtime board member, bestowed upon the Pardee RAND Graduate School his papers and books. 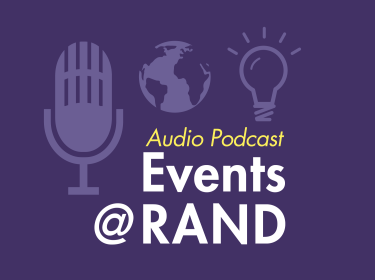 To honor him, PRGS unveiled the James Q. Wilson Collection in RAND's library, and RAND celebrated his legacy with a policy forum discussion. PRGS alum Angela Hawken (cohort '98) participated in the panel. Wu Discusses Findings of "What's On the Menu?" 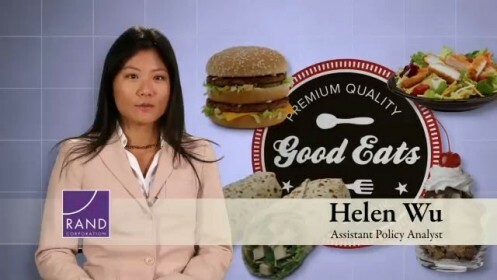 PRGS alum Helen Wu (cohort '07) discusses a RAND study that looked at over 300,000 menu items in 245 restaurants. The study, which started as Wu's dissertation research and is the largest ever on chain restaurant nutrition, found that 96 percent of restaurant items exceeded USDA recommendations. 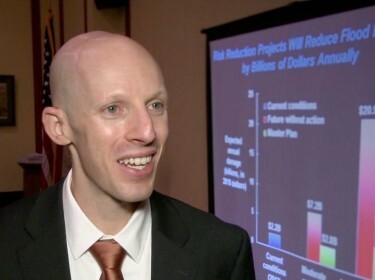 PRGS alumnus Jordan Ostwald (cohort '08) worked with RAND colleagues to develop a disaster preparedness planning tool. As municipalities dig out from Sandy and plan for the future, this could prove quite helpful. 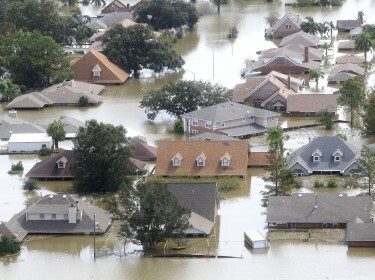 In an excellent example of how PRGS helps RAND innovate to make a difference in the world, an all-PRGS team developed a model to assess flood risk in coastal Louisiana: Professor (and alum) Jordan Fischbach (cohort '04), Professor David Ortiz, students David Johnson (cohort '08) and Matthew Hoover (cohort '09), and alumni Ben Bryant (cohort '05) and Jordan Ostwald (cohort '08). State financing of higher education is under stress as countries all over the world struggle with fiscal pressures. PRGS professor Charles A. Goldman, student Megan Clifford (cohort '09) and alumna Lindsay Daugherty (cohort '05) review a number of cost-sharing policies that can be adopted and how they may affect access to and the quality of education. Interventions that address potentially detrimental consequences of low socioeconomic status and adverse school environments among pre-adolescent Latino and black children may help reduce racial and ethnic differences in child health, according to research by PRGS alumnus Mark Schuster (cohort '91). After 14 years as senior researcher at RAND Health, PRGS alumna Donna Farley (cohort '89) retired in September 2010. 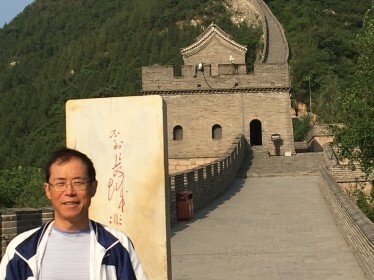 She recently spoke with Jeffrey Wasserman (cohort '85), Assistant Dean for Academic Affairs at PRGS, and reflected upon her experiences both as a PRGS student and a RAND researcher. 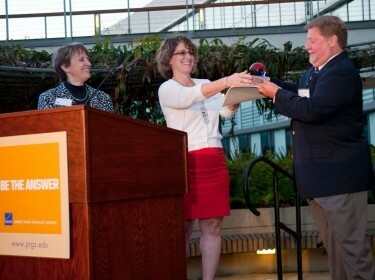 PRGS alumna Elizabeth McGlynn (cohort '83) has been honored with AcademyHealth's 2012 Distinguished Investigator Award. Her extensive research on health care quality has had an enormous impact on how experts evaluate health care reform. Pardee RAND professor/alum David Groves (cohort '01) describes RAND's role in helping to develop a plan to guide Louisiana's coastal investments, help its coastal citizens plan for the future, and create a sustainable coast. Does Junk Food in Schools Increase Childhood Obesity? Despite growing concern that junk food availability in schools has contributed to the childhood obesity epidemic, research by PRGS alumna Ashlesha Datar (cohort '99) shows that the availability does not significantly increase BMI or obesity among a group of fifth-graders. 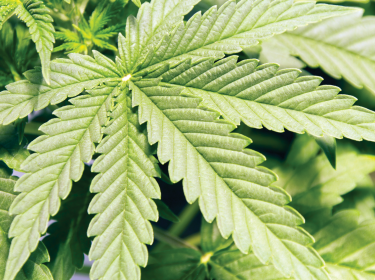 Being honest about the uncertainties involved is the price of admission to any serious discussion about marijuana legalization, writes PRGS professor Beau Kilmer in the Wall Street Journal. Kilmer and PRGS alumna Angela Hawken (cohort '98) are co-authors of Marijuana Legalization: What Everyone Needs to Know. 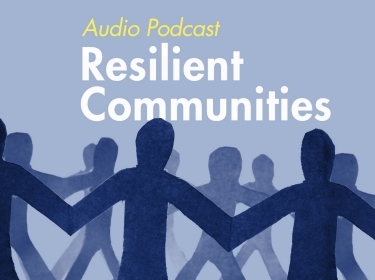 In this Resilient Communities podcast, PRGS professor and alum Jordan R. Fischbach (cohort '04) discusses research that has helped the city of New Orleans address the challenge of reducing flood risk and is relevant to many other coastal communities that are concerned with water resources, infrastructure planning, rising sea levels, and flooding. 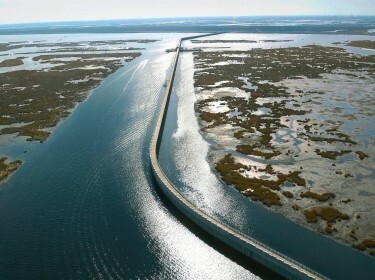 Alumni David Groves (cohort '01) and Jordan Fischbach (cohort '04) were key members of the RAND team that developed a hurricane flood risk model and a planning tool to assess Louisiana's coastal restoration projects. Be the Answer! David Groves discusses an innovative approach to dealing with the many challenges that may contribute to sustainable and affordable solutions of long term water supplies in California.